Will Online Debt Management Plan Affect my Credit Score? How? Looking for one of the best debt management companies that can offer you a helping hand while dealing with financial stress? No best debt management company claims that it can help you in any financial situation. There are some benefits and some risks involved in debt management. It all depends on the evaluation of your financial situation. It may be or may not be beneficial for you. When you have availed services of a debt management company, the monthly payments you are making will be less than what you agreed to make when you took the loan. First of all, your creditor may not be happy when you accept an online debt management plan. Your creditor can refuse debt management plan payment. However, the creditor cannot stop it from getting processed. Apart from that, it will also affect your credit score. 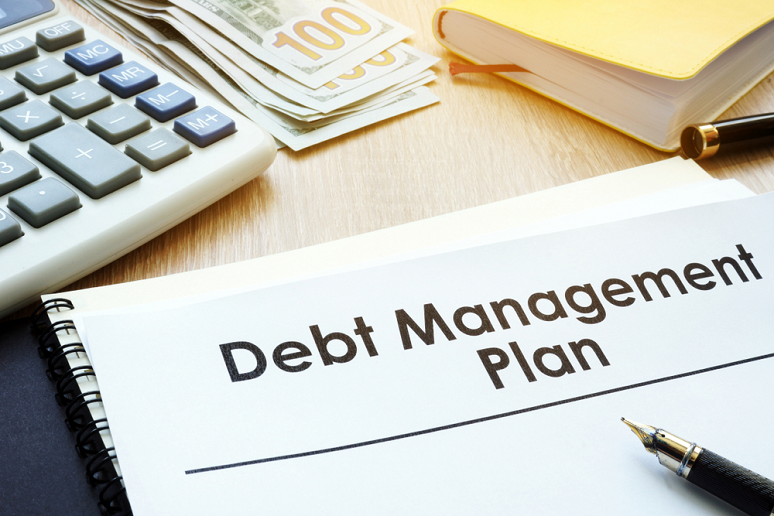 If you are working with a legit debt management company, you can change your debt management plan when your income and living costs are changed. Moreover, some of the best debt management companies don’t even tie you into some agreement. The best debt management company allows you to leave the debt management plan anytime you want. However, this does not stop creditors from taking further action. The creditor can start court action. The creditor can also pass your debt to some collection agency. Your creditors can change the debt and interest rate as you will be taking more time to pay off your debt. You can utilize a debt management plan for debts like personal loans, credit cards, payday loans, cancelled phone contracts, catalogues, gas and electric arrears and overdrafts. However, debts like secured loans or mortgage arrears, secured debts, child support, student loans, county court judgments and fines are not included in a debt management plan. You will have to pay these debts separately. Can you get a debt management plan? Getting a debt management plan may or may not be the right decision for you. Don’t just blindly believe in the claims debt management companies are making. Get professional advice, an impartial one before you go for a debt management plan. So, work with one of the best debt management companies. A legit debt management company can evaluate your financial situation and tell you whether you need a debt management program or not. Will my debt management program affect my credit score? Yes, it does. And, there is a reason behind it. When you are on a debt management program, you are paying less than the minimum amount you agreed to repay. It will definitely affect the credit file and credit score. What will be there in your credit file when you are on a debt management plan? The creditor will record several types of information on your credit file. When you have missed a debt management plan payment or you are paying less than the minimum, your creditor will record it in your credit file. You certainly want to avoid this. However, it is not as serious as you think. Let’s see the different types of information creditor will add to your credit file. You are paying less than what you agreed to pay, these payments will be recorded as partial payments in your credit history. There is no place in your credit report to record that you have availed a debt management plan. However, the creditor can mark the debt management plan payments you are making. The creditor can default your account and when the creditor does so, details of the default will be added to your credit history. These details will also go to your credit file.